Sabbath Walk: Is Superman a "Type" of Jesus? TITLE: IS SUPERMAN A "TYPE" OF JESUS? It's officially Summer Holidays for my kids. 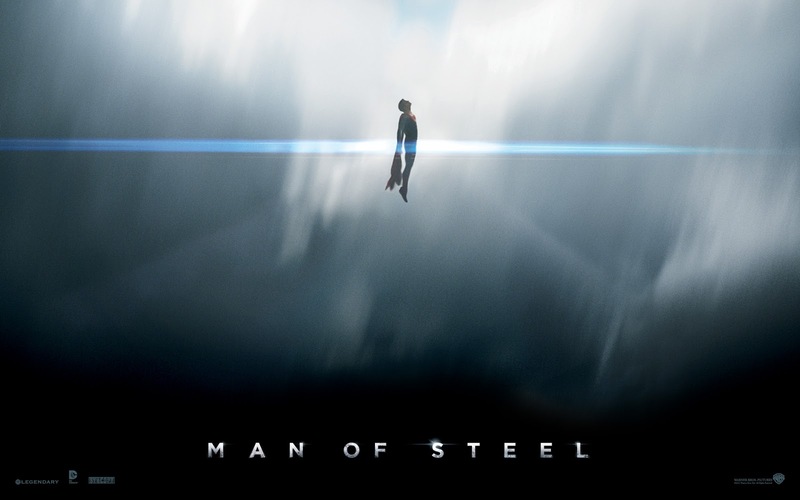 As a mini-celebration, our whole family went to watch the latest blockbuster movie, "Man of Steel," (aka, Superman). It was a full house. My daughter met a friend who did not manage to get any tickets over the counter. Thankfully, we purchased our tickets online a couple of hours ago. Even then, despite being almost half an hour early, we had to split up our seating inside the packed cinema. Many people had reserved seats for their friends. Reluctantly, I sat at the third row from the front. We all enjoyed the movie despite the different seating arrangements. At least I got to see Clark Kent and Lois Lane up close and personal. The special effects are stunning. The acting is professional. 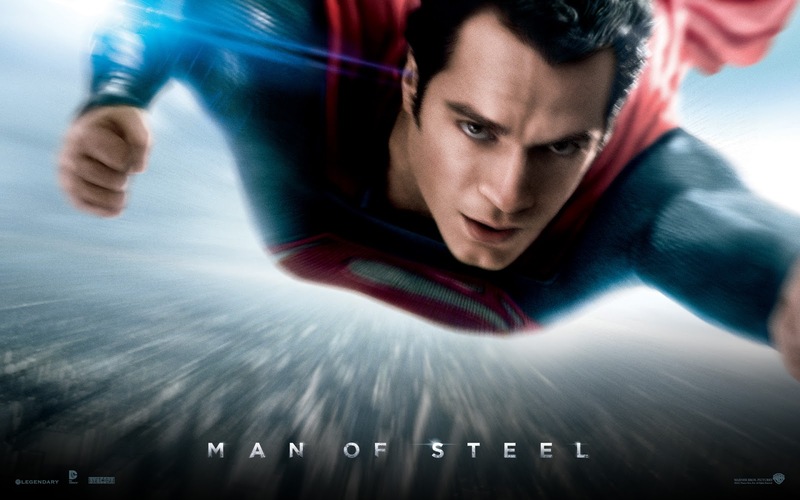 The storyline incorporates some of the best from the previous Superman films and is re-written to give viewers a bigger picture of how Superman was born, sent to earth, saved the world, and lived among human beings. It is somewhat like the first two Superman hits (starring the late Christopher Reeve) being reconstituted into one long almost two and a half hour movie. 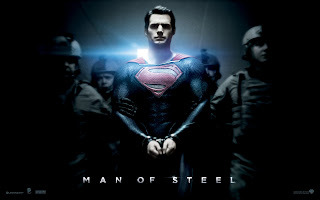 Of course, "Man of Steel" benefits from the latest in computer and digital media technologies. With highly advanced computer animation, computer graphics are rendered on-screen, so polished that viewers can hardly tell the difference between virtual reality and the real world. I admit. There are moments when I compare compare the comic strip superhero with the real Jesus of Nazareth. It seems like there is an intent right from the start to insert some kind of a Jesus-like Saviour image in this movie. The people in Hollywood know that since the recent successes of faith-based movies such as Fireproof, Courageous, Soul Surfer, and several others, there is a sizeable Christian audience that cannot be easily ignored. At the same time, they cannot do it too overtly lest it offends atheists and people of other faiths. The easiest way then is to incorporate it quietly in as secularized fashion as possible the themes. At the same time, they go loud when it comes to publicizing the movie to pastors and clergymen, so that they in turn can encourage their congregations to go see the movie and discuss the parallels between Superman and Jesus. A ministry resource has also been set up here for that purpose. It is a brilliant move. In fact, the producers of the superhero movie has reported box-office success, thanks in part to the megachurches in the US. I am a little ambivalent with regards to comparing the role of Superman with Jesus. What I will try to do is to highlight in what way Superman is like Jesus, and in what way the movie is not. Beware. There are spoilers from this point on. First, the name itself is a giveaway. Kal-El, the Kryptonian name of Superman closely sounds like the Hebrew (Qal-El) which also means the "Voice of God." His Kryptonian father's name is Jor-El which which is very closely linked to the Hebrew (Joel) for "YHWH is God." Then, there is General Zod, which in a way is a play of the word for God. As a rebel, he is named Zod because he tries to be like "God" but falls below the mark. More over, Kal-El's words to Superman, "You will be a God to them" sounds like Jesus on earth, fully human, fully divine. When Zod calls Superman "Son of El," it sounds like Son of God to the Hebrews. Second, the father's presence is strong in the life of Superman. His biological father, Jor-El remains present with him in Krypton as well as on earth. He blesses him as he is placed in the space pod. He guides him in spirit. He writes the code of life into his flesh. On earth, he appears to him in Spirit and guides him each step of the way. Even the earthly foster father, Jonathan Kent takes care of Superman, Clark, as if he is his own son. One touching scene is when Clark says something like wishing his earthly father is his father. He replies "I am your father" with a hug. In the prayer of Jesus, John 16:32 reminds us of the words of Jesus: “A time is coming and in fact has come when you will be scattered, each to your own home. You will leave me all alone. Yet I am not alone, for my Father is with me." Yes, Superman despite being largely alone in his fight against the Kryptonian villains, the presence of his father is often with him. Third, there are ample examples of self-sacrifice. Kal-El sacrifices himself, trying to ensure the survival of his son, and as a result becomes distracted and vulnerable to Zod's stabbing. Likewise, his earthly father Jonathan Kent also sacrifices himself to the horrible twister, in order to preserve Clark's anonymity and future. Superman eventually follows suit, agreeing to surrender to General Zod in exchange for the safety of the whole world. It reminds me of the beautiful description of Jesus in 1 Timothy 2:5-6, "...the man Christ Jesus, who gave himself as a ransom for all people...."
Surely, handcuffs are nothing. Self-restraint in progress. Four, Superman shows extreme self-restraint even when he is cruelly bullied and humiliated. It shows his obedience to his father's words. I remember the scene where some boys try to bully him and challenge him to fight. With great self-control, Clark refuses and his father looks on with approval. It shows me how pleasing the father is more important than trying to even our own things out. Philippians 2:8 reads: "And being found in appearance as a man, he humbled himself by becoming obedient to death— even death on a cross!" Five, saving the weak and the helpless is also the mark of Superman's life. Among the different soldiers and civilians he save, he also saves the damsel in distress, Lois Lane, several times. Remember how Jesus reaches out to the marginalized during his ministry on earth? While Superman apparently fails to save all, at least his desire to save as many as possible is unquestioned. Six, Superman despite his superhero status, remains down to earth. Toward the end of the movie, the military was still doubtful of Superman's allegiance. Superman replies with a cheeky: "I was raised in Kansas, General, so I'm as American as I can get." Does that not remind us of John 1:14, where it is written: "The Word became flesh and made his dwelling among us. We have seen his glory, the glory of the one and only Son, who came from the Father, full of grace and truth." Like Jesus who dwells among the common people, Clark Kent too lives among humans. Seven, the way Superman behaves, doing things as quietly as possible, and to live as normal as possible reflects the dual responsibility of Jesus. On the one hand, Jesus is fully human. At the same time, he is fully divine. Superman in a way also walks a tricky balance between being a superhero on as well as being human. This lifestyle similarity is worth pondering about. When it comes to us living as Christians on this earth, we can also learn to live like Superman, in the sense that we do good as often as we can. On the one hand, we have God as our Strength and Refuge, our Everlasting Father and Guide. On the other hand, we are to live humbly in our quiet lives, doing the necessary but always with gentleness and love. Eight, Superman looks to the interest of others. I remember the scene where Superman surrenders himself to the military, and willingly lets them handcuff him. He knows that the handcuffs, the heavily fortified room, and the see through mirrors cannot contain him. Yet, he willingly thrusts himself to them for their sake, not his. It reminds me of Paul's teaching to look to the interest of others more than ourselves. That said, there are also many areas where the similarities fall short. First and foremost is the extreme violence in the movie. Yes, it is true that in a world of war and terrorism, violence is quite a common sight on earth. Yet, the many scenes of violence make this movie less appealing for me. In fact, halfway through the movie, my stomach begins to churn as the continuous destruction becomes a little overdone. Surely the producers can reduce the amount of violence without reducing the impact of the whole storyline. The gospel has descriptions of violence too, but not to the extent the "Man of Steel" has made it out to be. Second, there is a big difference in the way Kal-El is conceived. Unlike the baby Kal-El, Jesus is not created. Kal-El is conceived of both Jor-El and Lara. Jesus is conceived by the Holy Spirit, and through the virgin Mary. Jesus is God, not created, and not humanly conceived. Kal-El has a father and a mother in Krypton. We cannot say that Jesus has a father and mother in heaven. Third, the similarity fails when we compare the place of origin of Superman. While Krypton is a crumbling planet, one that basically survives through exploitation of other planets to sustain their existence, Heaven is not. Heaven is sustained by God, not energy. In fact, God is self-sustaining. Krypton is not. Moreover, the whole concept of Krypton is rather evil. They exploit everything in order to sustain their own way of life. Eventually, they self-destruct when their own exploited planet implodes, bringing down the rest of the galactic outposts with them. Krypton is more hell than heaven. Superman is coming from a kind of hell rather than an everlasting kingdom of Heaven. Four, there is no free will on the planet of Krypton. Every individual is designed with a specific purpose, programmed into them. General Zod himself is programmed to be a "warrior." Thus, he is living out his calling as a warrior to protect his people. The analogy fails when we think about God giving every person a free will to choose. If God had indeed designed into every individual a certain program, where then is the freedom of choice? If God has indeed programmed certain will in people, is there such a thing as programmed to kill in order to survive? I understand that this may raise questions about things like God's will for our lives. There is a certain mystery in this, but the movie makes it too explicit for comfort. Five, the suit of Superman is way too lavish and flashy, compared to the humble Jesus. Remember how Jesus instructs his disciples to dress simply? With an imposing visible "S" on his chest, and his amazing power of flight and speed, it is starkly different from the humble Jesus who walks everywhere, who rides on a donkey, and who is a lot more human than superhuman. The symbol of Christianity is the cross. The difference is, while Superman flashes his rather fancy S, no one during the first century, likes to be associated with the Cross. Six, Superman works largely alone. He disciples no one, save maybe an instruction or two to Lois Lane or some officers. While he communicates to his father through a conscience of Jor-El, the hologram image is eventually destroyed by Zod. This is in contrast to Jesus who calls 12 disciples, builds up communities, and prays a lot to God his heavenly Father. Such a close Father-Son relationship can never be destroyed. Neither is it a conscience kind of a thing. Superman does not make an effort to ask earth people to be like him in terms of superhuman powers. On the contrary, Jesus asks his disciples to be like him in humility and goodness, and to worship God in spirit and in truth. Seventh, even though Superman exhibits an extreme reluctance to kill, he still inflicts the fatal blow eventually. Jesus lets himself be the recipient of the harshest final blows.The end of the movie shows him battling Zod, fully intent to destroy all with his laser eye beams. After a seemingly lengthy tussle, he finally decides to make his one kill, so that he can save the rest of the people in the vicinity. Come to think of it, there is very little killing on the part of Superman, save for that one final act. For all the right restraint and the self-control, there are moments in which Superman actually loses control and fights back like a typical movie hero. Finally, the theme of salvation though strong in the Superman movie, is only a small subset of what the gospel actually represents. I like what one of my friends say about the gospel. He writes, that the gospel is nto some kind of a salvation plan that kind of explains the way we get "saved." Rather it is a proclamation. It is more of a proclamation of Jesus as Lord over all. Tim Keller sees the gospel with four major thrusts. It is recognizing God as Creator. It is admitting we are sinful. It is proclaiming that Jesus saves and will make all things new. It is about faith in living out this new life. There can be a lot more comparison of similarities and differences. In a nutshell, while there are many allusions to the Jesus of the Bible, Superman falls way short. There are many superficial similarities but the differences are deeper when we take the time to think through them theologically. For instance, the movie is inadequate when it comes to the truth of Jesus' humanity and divinity (Christology). It has a incomplete, even confused sense of heaven and hell. Compared to Jesus, the person of Kal-El and Clark Kent suffers from a deep sense of insecurity and self-identity. Jesus is none like that. He knows exactly what needs to be done, and is completely obedient to the will of Father God. He fights not fire with fire, but violence with love and compassion. He reaches out to people, humbling himself all the way. Personally, I enjoy the movie for what it is. I look forward even to watching it again to relive some childhood fantasy or simply to appreciate how modern movie makers have interpreted or remade the classic comic hero. However, when people try to infuse Christian themes into the movie, and then turn around and compare Superman with Jesus, it can be quite a case of comparing oranges and apples. The differences in depth are even more distinct considering that even if Superman is able to see through walls and thick enclosures, people's organs and far-away places, these are nothing compared with Jesus who sees not only the visible but the invisible. Jesus sees through the thoughts and hearts of all people. Jesus sees through time and eternity. Superman may save lives but he cannot bring renewal into the lives of people. Jesus not only saves. He redeems, refreshes, renews, reconciles the world to God. The way to the salvation of the world is not to fight the world with powers and principalities of this world, but to surrender to the evil inflicts on him, and in dying, he brings forth life for all. Superman fights the world. Jesus submits to the injustice of the world to let the Father fight for him. I agree that the movie is a good conversation starter to talk about the gospel, but the similarities stop there. It can be a helpful exercise to help us read more about who Jesus is and who he is not. Remember that any similarities are only skin-deep. Our faith cannot be skin-deep. Our faith needs to grow deep roots in the gospel message and the Word of God. We cannot be easily attracted by flashy sights and amazing feats or heroic acts. The gospel calls us not to fly all over the place like Superman. The gospel calls us to be faithful and fruitful wherever we are. It calls us not to work as spiritual lone rangers or super-people, but as community of faith believers, serving one another, building one another up in the Spirit. So, is Superman a "type" of Jesus? Well, it appears like it, but on closer examination, he is a very dull reflection of the true Son of God. Use the movie as a conversation starter, but do not build theologies on it.